The Charity Commission for Northern Ireland has appealed against a decision by the charity tribunal in Northern Ireland, which ruled that the commission has to end its inquiry into a housing association because it is not a charity. The tribunal also ruled that the CCNI could continue its inquiry into a sister housing organisation, after finding that it was a charity. The tribunal decision, made last month, came after the County Down-based organisations Bangor Provident Trust and Victoria Housing Estates appealed against the commission’s decision to open inquiries into both organisations on 8 August 2012, because of concerns about their governance. Both organisations appealed to the tribunal against the commission’s decision to open an inquiry, on the grounds that they were not legally charities. But the tribunal ruled that Bangor Provident Trust was not a charity on the grounds that its objects were not exclusively charitable. The tribunal ruled that the commission "did not, therefore, have jurisdiction to open, nor to continue, an inquiry". As a result, the commission ended its inquiry. Asked if Bangor Provident Trust would cease to be eligible for charitable tax relief as a result of the tribunal’s decision, a spokeswoman for the CCNI said that HM Revenue & Customs had been alerted to the tribunal’s decision but was unable to comment further. The tribunal also ruled that the CCNI’s inquiry into Victoria Housing Estates could continue because it was a charity. It found that changes had been made to its objects during a board meeting in 1986 to enable it to claim charitable tax relief. 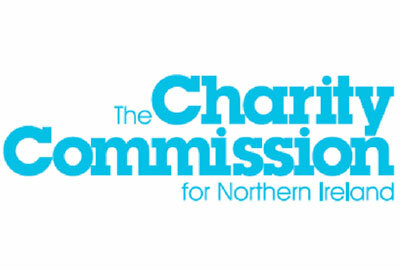 A statement from the Charity Commission for Northern Ireland said: "The commission has applied to the charity tribunal for leave to appeal the decision in relation to Bangor Provident Trust, therefore it is not currently in a position to go into further detail on this matter." A spokeswoman for Bangor Provident Trust and Victoria Housing Estates declined to comment.